Here's an overview of just some of the resources available to writers in Norfolk (and East Anglia more broadly). It's quite a treasure trove, but perhaps that's not a surprise given that in 2012 Norwich became England's first UNESCO City of Literature. East Anglian Book Awards – this annual event celebrates literature either set in East Anglia or written by authors living in the region. Entry for 2016 is now closed, but keep an eye out for 2017 submission details. Jarrold, one of Norwich’s oldest independent departments stores, Jarrold hosts regular author readings, signings and book launches. This year’s autumn programme includes the East Anglian Book Awards, Alan Partridge, and Elizabeth Haynes. King's Lynn Literature Festivals – this year’s event is the King’s Lynn Poetry Festival, taking place from 30 September–2 October 2016. Noirwich – Norwich’s annual crime-writing festival always includes some top names in the noir genre. This year’s author events include Ian Rankin, Sophie Hannah and Peter James, and there are also writing workshops and a number of fringe events. Noirwich 2016 kicks off on 15 September. Definitely one to put in your calendar! UEA Literary Festival – the University of East Anglia has a super programme of ‘in conversation’ events lined up for this autumn, including David Lodge, Bernard Hill, Paddy Ashdown and Rose Tremain. The events start on 5 October and run through to 23 November 2016. If you are looking for an editorial professional in Norfolk, you can find a qualified member by visiting the Norfolk Proofreaders and Editors Network (NPEN). 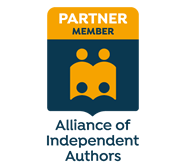 Members offer a wide range of services including proofreading, copy-editing, structural and developmental editing, manuscript critique and evaluation, indexing, formatting, translation, and publishing consultancy. Salt – this vibrant independent publisher accepts unsolicited manuscripts and has had two books nominated for the Man Booker Prize in four years. For more self-publishing resources, visit the library on my Self-publishers page.